Professionalism, commitment, work ethic, knowledge, patience, reliable, flexible, hard worker, comfortable to work with? THIS could be Joan Smith. A full-time Oregon Real Estate Broker with an outreach network of committed agents in Oregon and beyond to provide your buying and selling transactions needs. As an active member of the Douglas County Association of Realtors Multi-Year Million Dollar Club, National Exchange of Roseburg member I also served as Vice President of the Douglas County Board of Realtors/Local Directors. I am also an active member and leader in my church. I live in Roseburg, have two children and three grandchildren along with a family Black Lab dog. If this is what you are looking for in an agent get in contact with me. I WILL help you achieve your real estate goals. 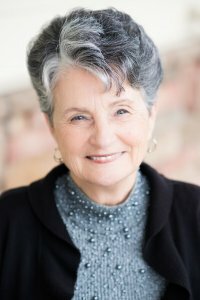 We wanted to recognize Joan Smith as a wonderful realtor to work with. In the 10 years we had our properties on the market, we worked with 3 realtors, Joan being the last. She was the hardest working at selling our hard-to-sell land and gave us much good advice and direction. We would definitely work with her again in the future. She was able to get us a good price for our land and get it sold. She never gave up even when we were tired and discouraged. Loved her enthusiasm and positive spirit. Thanks so much, Joan.” – Jim & Sharon S.
I just wanted to thank you for the great job you did in helping me purchase the house I could afford. You are a really good realtor and I know you didn’t make a lot of money on the home I bought because it didn’t cost as much as most. You have a great attitude about this, saying, “everyone needs to have a home to live in“. With this outlook you have, you are not just a great realtor, you are a wonderful human being. Thank you again, Joan. God bless you.” – Penny M.
You were so acommodating to us with our very short timeline coming from out of state to search for and purchase a home in less than one week. You coordinated the purchase offer and counter offers efficiently, giving us solid advice on how we should proceed with each step of the transaction. You even provided us with an excellent referral for a loan company which enabled us to get a great interest rate.” – Ronald & Kathleen L.
Joan’s knowledge and wisdom in the real estate market has been so appreciated. She has worked with me and my family for almost two years and has really become part of our family. I have friends and family who will in time be in need of a realtor and Joan Smith is who I will send them to.” – Kelly F.